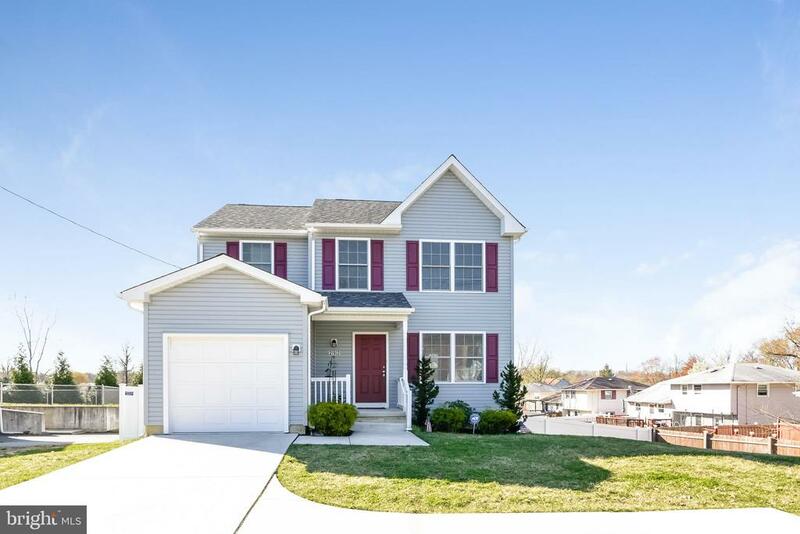 All Bellmawr homes currently listed for sale in Bellmawr as of 04/22/2019 are shown below. You can change the search criteria at any time by pressing the 'Change Search' button below. If you have any questions or you would like more information about any Bellmawr homes for sale or other Bellmawr real estate, please contact us and one of our knowledgeable Bellmawr REALTORS® would be pleased to assist you. "Beautiful10 year old single home! More than 40k in upgrade! This home features, 3 beds 2.5 baths, MASTER SUITE, full WALK-OUT basement that is ready to be converted into MAN or WOMAN CAVE. Lots of room for your imagination. You need to see it in person to appreciate the tru value of this house. Property is being sold completely as-is." "One of a kind semi-custom, 2-story home featuring a fully remodeled interior that is loaded with upgrades galore!!! No detail or expense has been spared in this home. It has hardwood flooring in the dining room, kitchen and all 3 upstairs bedrooms. The eat-in kitchen has been tastefully redone with granite counter tops, stone backsplash, under counter lighting, soft close cabinets, Bosch built-in dishwasher, and ceramic tile floors. The formal dining room has its own electric fireplace, while the huge carpeted living room features a gas fireplace with a 70 Sharp Smart TV mounted above for easy viewing. The partially finished basement is perfect for entertaining. The Master Suite features vaulted ceilings, a to die for master bath with soaking tub and stall shower, double sink vanity, plus walk-in closet. All the other bedrooms have plenty of closet space. As great as the home is on the inside, the outside offers an abundance of pleasure to enjoy your own little slice of paradise. 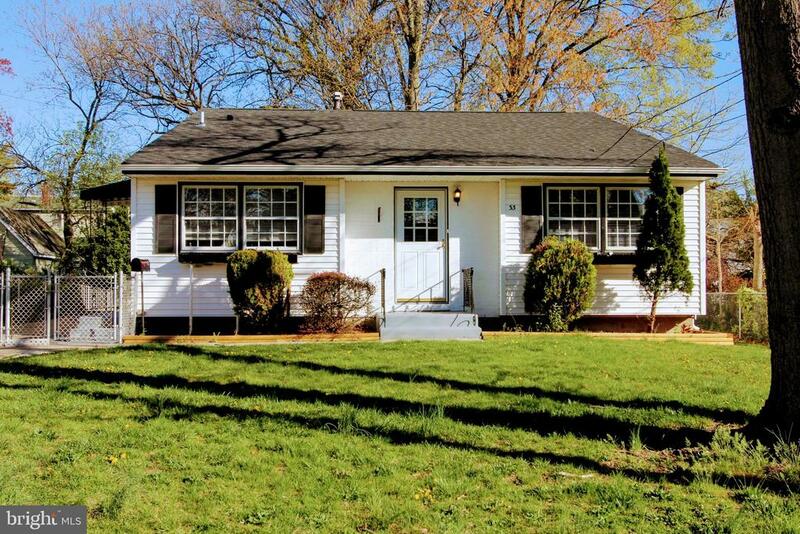 Property is situated on a double-wide corner lot with a fenced in yard that backs up to Sauter Park & Walkway. Newer roof, newer 2 zoned HVAC system. Too many other features to mention here as the list goes on and on. Make your appointment today to see this one of a kind home for yourself!!" 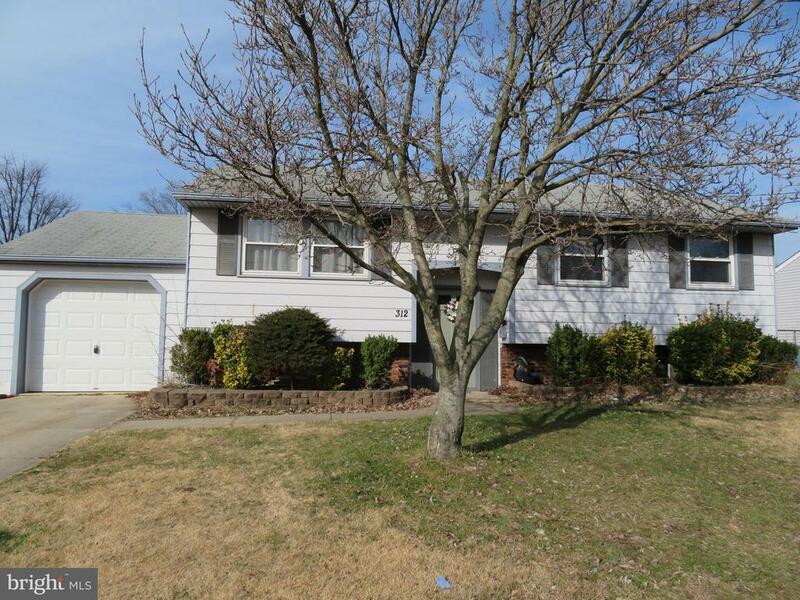 "Welcome home to this 4~yr old Bellmawr single~with gleaming hardwood floors. First floor is bright and airy with~open concept that allows for a great flow from living room~to kitchen.~ Dining room features sliding glass doors that lead out to~trex deck that overlooks large fenced back yard which includes a shed for extra storage.~ Kitchen has plenty of counter space, center island and beautiful granite counter tops. Half bath, pantry, and inside garage access complete the first floor.~Finished basement adds more living space for gatherings and has walk out to back yard.~ Three nice size bedrooms complete the second floor.~ Master bedroom has walk-in closet and master bath.~ Home is conveniently located to major roadways and shopping.~ Waiting to be yours today!" "Spacious 4 bedroom house. Enter the foyer area that leads into the living room with open concept into the dining area/kitchen. Doors from the dining area leads out to a large backyard with an in-ground. Great for Entertaining." "Some people like older construction homes and some people like newer construction homes... I am partial to newer constructions homes just like this Victorian style home built in 2002. It has a floor plan that fits today's lifestyle down to the little things like first floor laundry and spacious closets because let's face it your closets are probably busting at the seams. This house will give you that sense of relief you have been searching for without the sticker shock or crazy location newer construction homes are offering today. 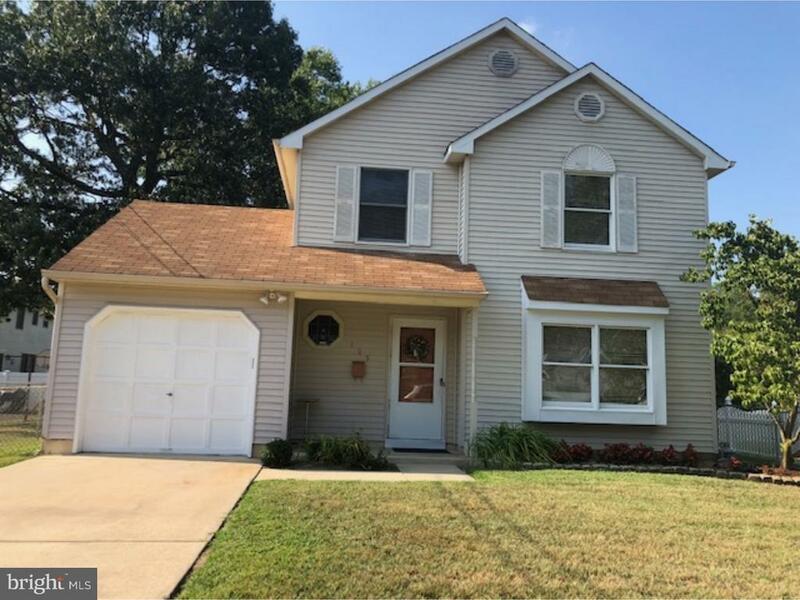 This Fannie Mae owned 3 bed 2.5 bath home is located minutes from major roadways, shopping and dining and is sure to check off all the boxes on your wish list! It doesn't stop pleasing there... add in the charming porch, patio with a great yard and the cozy gas fireplace and it will leave you feeling heads over heels. 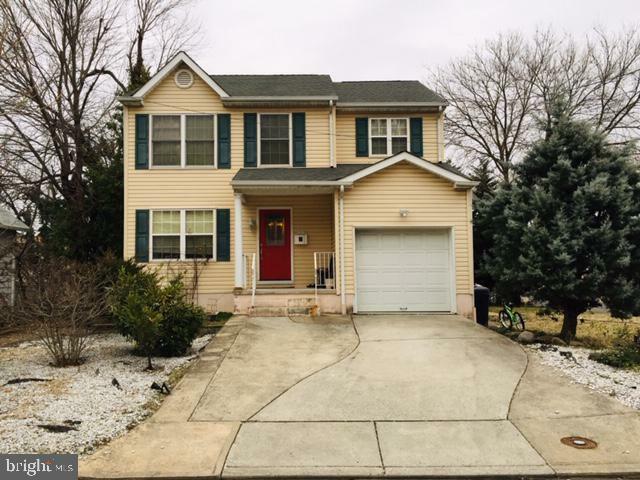 Be sure to put this Bellmawr beauty on your list to see! It will go quick so book your appointment today!" "Lovely 3 Bedrooms, 1 1/2 Baths on a quiet street. Large Living Room with skylight window with hardwood floor. One more Rec/Study room with hardwood floor. Large Eat-in Kitchen with granite countertop and tile floor. First Floor Laundry room and powder room. 3 Bedrooms with carpet on the 2nd level. Close to I295 and NJ Turnpike. One Year Free Home Warranty with Accepted Offer. Listing Salesperson is related to the owner." "COMING SOON!Welcome to this corner property that contains 3 upstairs bedrooms and a mother in law suite on the lower basement floor with full kitchen and bathroom. Mother in law suite also has a separate bedroom and living room with rear entrance. Newly updated kitchen and large family room with vaulted ceilings and sky lights. Property is currently tenant occupied and unable to show interior at this moment. Feel free for drive by until listing is updated!! THANK YOU!" 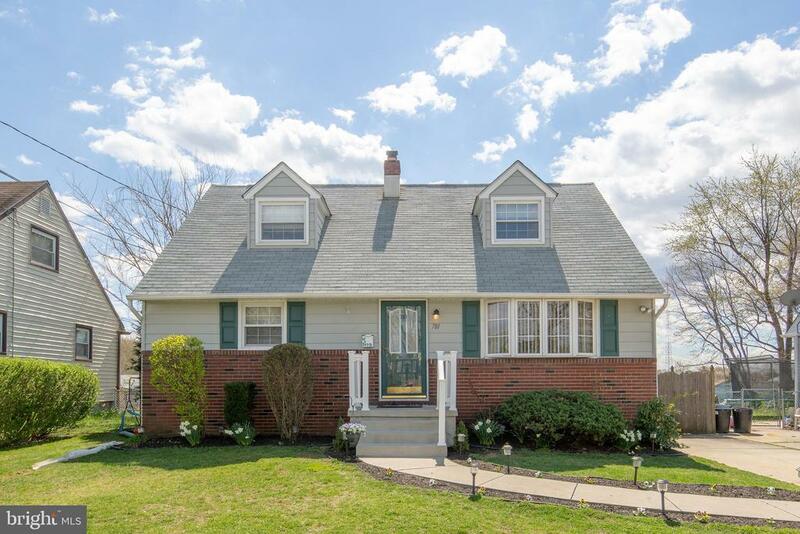 "Looking for a charming Bellmawr home? look no further..... This 4 bedroom /1.5 ba Split level, on an extra wide lot, is ~walking distance to the Downtown restaurants, shops, and close to all major highways. The spacious layout provides a very comfortable living space for a large gathering, without losing the cozy feel of home. It is filled with natural brightness from the sun because of the windows that surround the home. The main floor has a Living Room, Dining Room. The Kitchen has plenty of cabinet space and enough room to have an eat in kitchen or keep the open concept and enjoy dinners off the kitchen right into the dining area. The Lower level has a spacious gathering room, with brick wall fireplace and wet bar area. The fourth room is in this area and can be used as an office, playroom, or small bedroom ~ or in-law suite, with a separate entrance area to the home. Laundry Room Area is in the lower level as well, this cozy area is great for relaxing or for entertainment! There's also access to the backyard area from this level that leads you to the open yard and exquisite in-ground pool! The Upper level has three bedrooms and a hallway bath. Schedule your tour today! Priced to sell, this gem won't last long!" 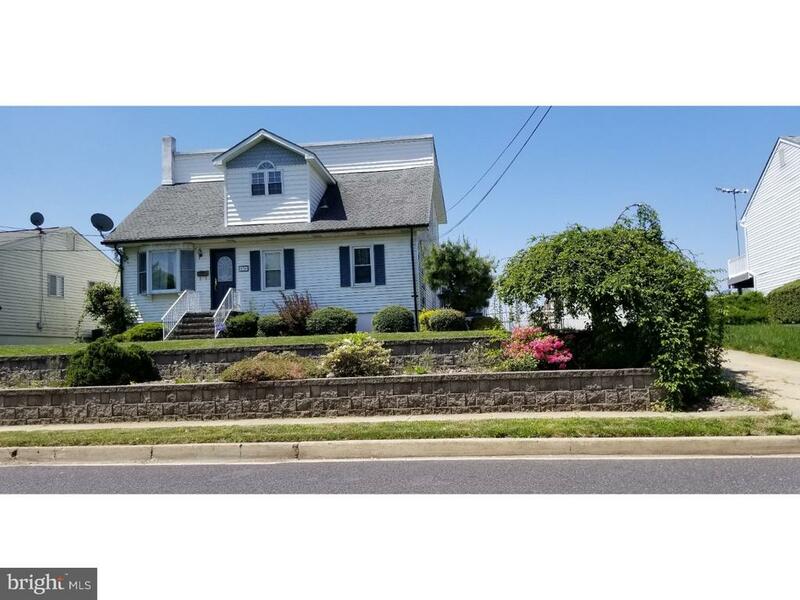 "Don't miss out on this adorable cape cod on a quiet street in Bellmawr. 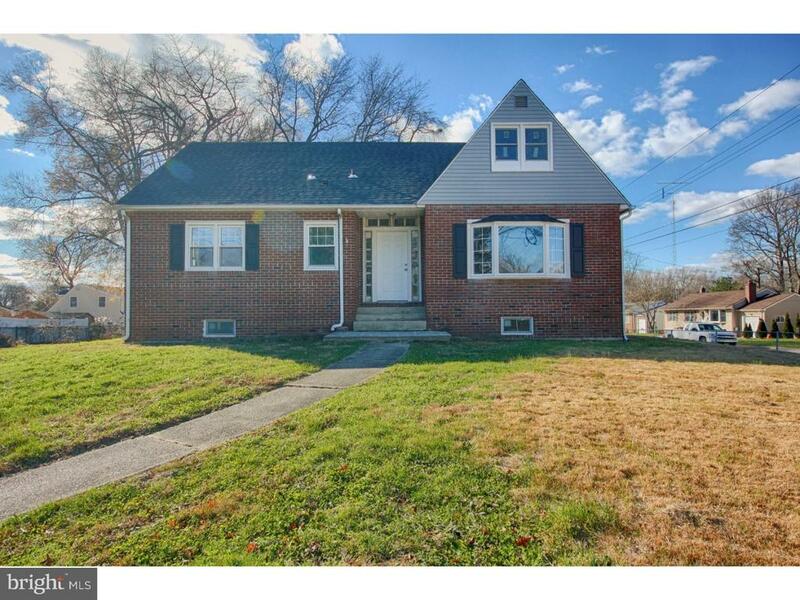 This home is move in ready with hardwood floors, granite counter tops, 4 bedrooms, 2 full updated bathrooms, and a finished basement. The large deck, patio, and in-ground pool make it perfect for summer bbqs and family gatherings. The large eat-in kitchen and finished basement make entertaining in the colder months a pleasure as well. There are 2 bedrooms on the main floor as well as a full bathroom which is perfect for an in-law suite, office, or playroom. There are also 2 spacious bedrooms on the second floor with ample closet space and another full bathroom. Both bathrooms have been recently updated. The HVAC is only 6 years old, the pool liner was replaced last year, and the roof is in great condition. Bellmawr is conveniently located near all major highways and a quick 15 minute drive into Philly.Free full-day pre-k atrting at age 3. This house will not last long!!" "Attention all home buyers!!! Here is the home that you have been waiting for! 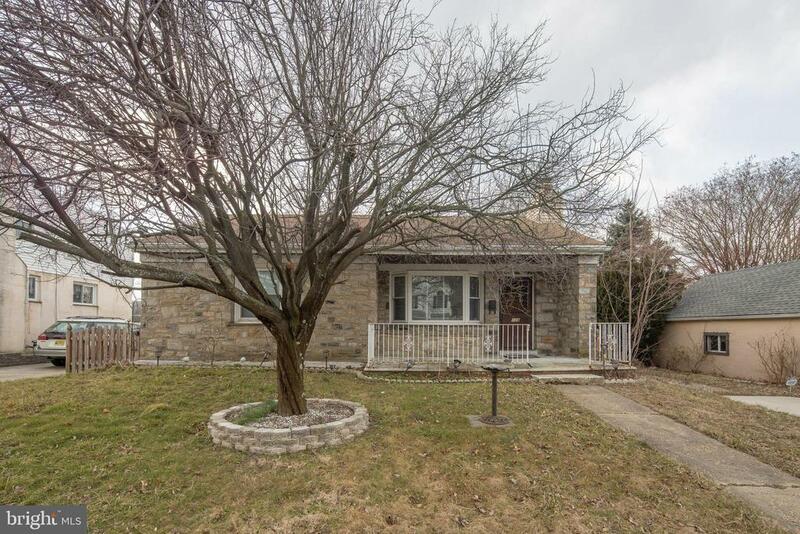 This bungalow style home is loaded with lots of goodies and is nestled on an extra large lot in the heart of Bellmawr. This beauty boasts 3 bedrooms 1 1/2 baths, a large formal living room with crown molding and dual ceiling fans, a formal Dining room with laminate flooring, a beautiful eat-in kitchen with bay window, architectural curved ceiling, ceramic flooring, oak cabinetry, granite counter tops and double bowl stainless sink. The half bath is adjacent to the kitchen and is right off of the back door. There are 2 bedrooms and 1 full bath on the main floor with the 3rd bedroom located on the 2nd floor. There is a full basement with a finished room that can be used as an office or playroom. There is a large deck off the back of the home that levels off to an above ground pool and is the perfect spot for those summer BBQ parties! The large yard is completely fenced in and the driveway is big enough to hold 5 cars. 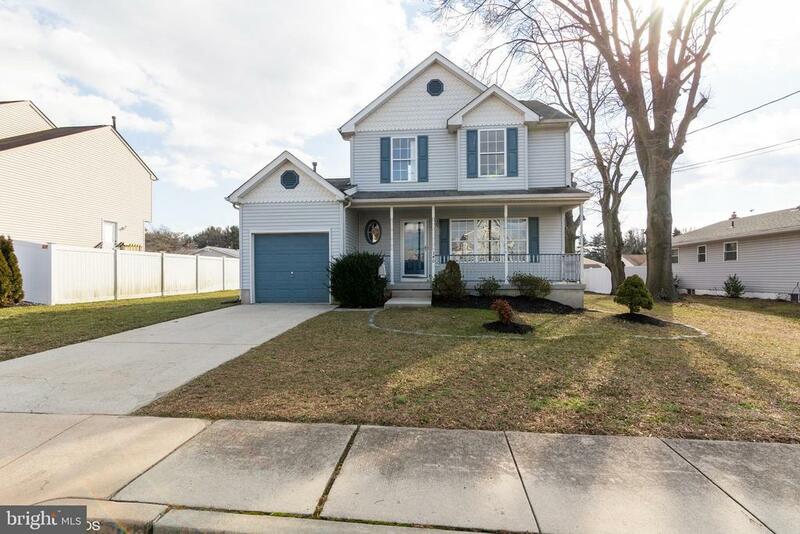 Dont forget about the 1 1/2 car detached garage that finishes off this perfect home! Whether this is your first home or you are downsizing, you will find that this charming little home will suit your every need. So dont delay, make your appointment today... before it's too late. 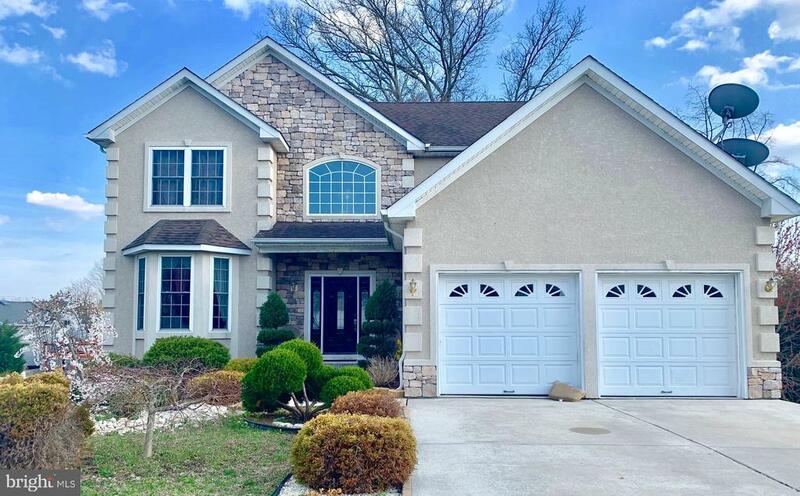 Located Just minutes from Rt.295 and the NJ turnpike and only 25 mins from Philadelphia." "Totally renovated bi-level home featuring an open layout. Large kitchen which adjoins the dining room and living room, featuring a custom built accent wall. Kitchen features newer stainless steel appliances, new marble counter tops, and additional counter seating. Freshly painted interior, newer windows, and brand new HVAC system. Lower level features large refinished room with wood burning fire place, an additional room which can be used as a home office, den, or game room, and full bathroom. New rear fencing and rear patio with new vinyl railing, plus a one car garage. Home is conveniently located within minutes of Center City Philadelphia, Routes 42, 55, and 295. This home will not last long at this price. Financing available for first time home buyers. Call and make your appointment today. Immediate possession available!!!!" 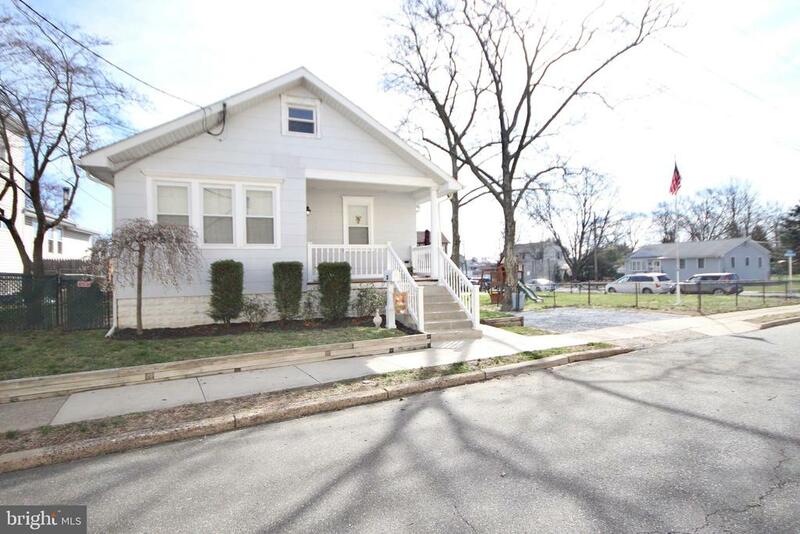 "As Close to Haddon Heights as you can get without paying those taxes!! !Upon Arrival you'll Discover the Prestigious Brick Exterior Elevation that evokes a feeling of Confidence that will continue to develop as you walk through this Dynamic Home. The Open Concept Floor Plan is stunningly Exciting. The Gleaming Hardwood Flooring with the Warm...Inviting Fireplace will make you feel at home. The Custom Kitchen with Impeccable Tile-Work and Breakfast Bar provides little surprises that are useful and trendy. The Entire Upstairs Provides A Master Bedroom, Master Bath, Walk-In Closet, Master Sitting Room and Loft. 2 Spacious First Floor Bedrooms with Gleaming Hardwood Flooring, Full Bath and Six Panel Doors gives this home more than enough room to perfectly fit your lifestyle. The Full Basement is partitioned into a Game-Room, Work-Shop and Large Laundry Facility. 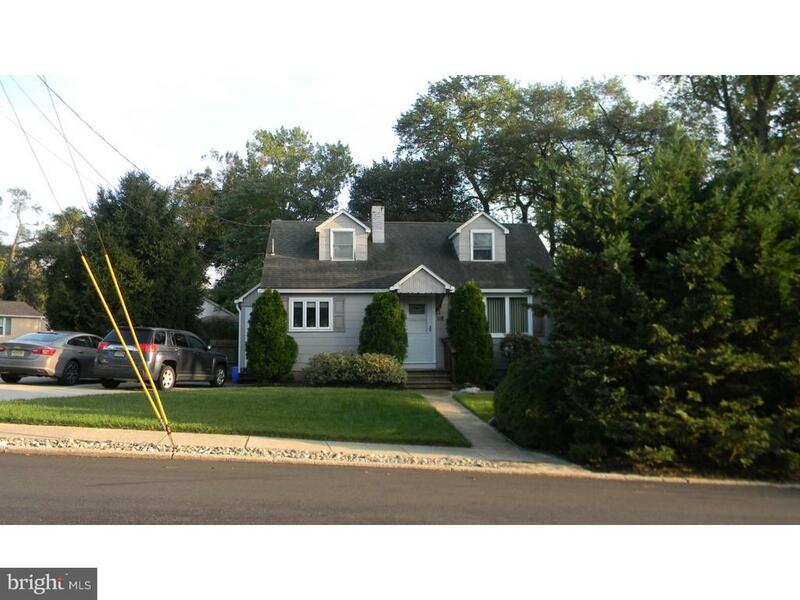 This Premium Lot is Fully Fenced, Plenty of Yard Space and a Detached 2 Car Garage. Come by the home yourself knowing what you want and see how this home matches up!" "Very well cared for home with upgraded eat in kitchen, featuring stainless steel appliances, granite counter tops, tiled flooring and soft close cabinets. The Living room has hardwood floors, ceiling fan and a large bay window. There are two bedrooms and a full bath on the main floor and two additional bedrooms on the upper floors. also attic storage if needed. The lower level is finished with a family room , large pantry room and a laundry room with sink. There is a storage room on the lower level also.This home features an outdoor enclosed screened room with cable and ceiling fan and an additional shed with work room, electric and so much more. The yard is totally fenced in and has a large deck for entertaining. Extra long driveway for plenty of parking. Located within walking distance from the park and close access to Philadelphia and many shopping areas. Home warranty included." 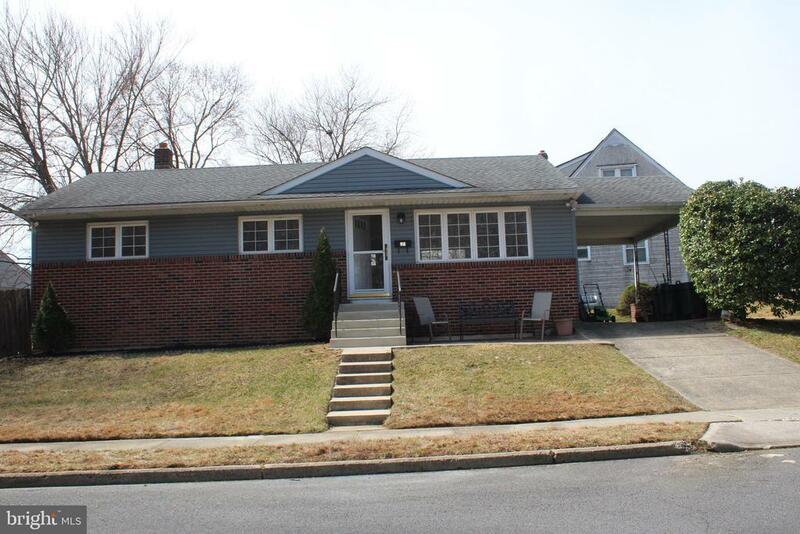 "Luxury living 3 Bedroom 2 full baths with Full Basement totally remodeled home on a nice size lot. 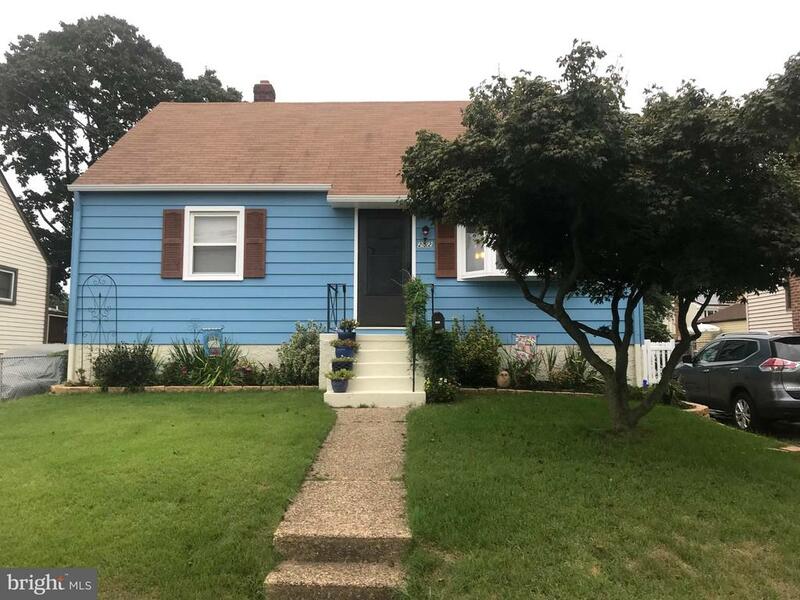 here are some of the features a New HVAC, Windows, Heater, Roof, Hot Water Heater, Vinyl siding on front of house, Freshly Painted inside and out,carpet downstairs bedroom,Ceiling light fans in all bedrooms. The kitchen boasts white 42 inch soft close cabinetry, title backsplash, granite counters, recessed lighting, stainless steel appliances, crown molding and new flooring. The living room also has new front windows (plenty of natural light), new LED recessed lights & ceiling fan, new floors and fresh paint. The main floor bathroom features new tile floors, stunning tile tub surround with custom inlay, new lighting & fixtures, fresh painted. The two upper floor bedrooms feature beautiful hardwood floors just refinished to store their nature beauty, fresh paint & new windows. The main bedroom is on first floor with a nice plank flooring, fleshly painted, and ceiling fan. The basement offers a ton of additional space and fresh paint can be finished off or you can just use it for storage/workshop with laundry hookups. The upstairs full bathroom has also been fully remodeled with tile tub surround, tile floors, new vanity & new fixtures and so much more to mention.Laundry on 1st floor. The rear yard is fenced and back porch. The property was just freshly landscaped, too. Conveniently Located Near Popular Shopping and Dining Attractions with Easy Access to Major Roadways. This home won't last! Show today!" 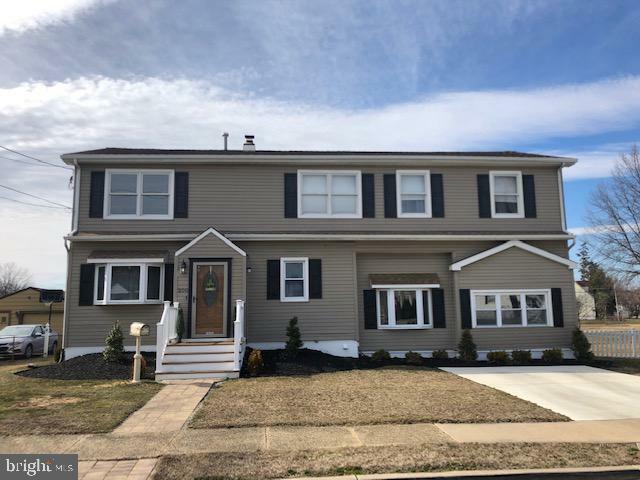 "Welcome to this stunning completed renovated Split level home on the very desirable township of Bellmawr, NJ. 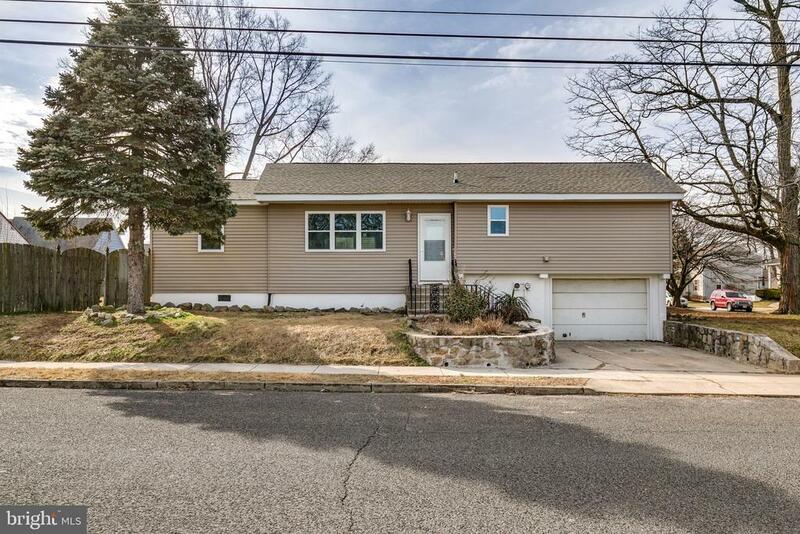 This home is located just minutes from Route 295, 42, 76, and the NJ Turnpike This home features 3 bedroom, 1.5 full baths, with approx 1400 sq ft of living space. 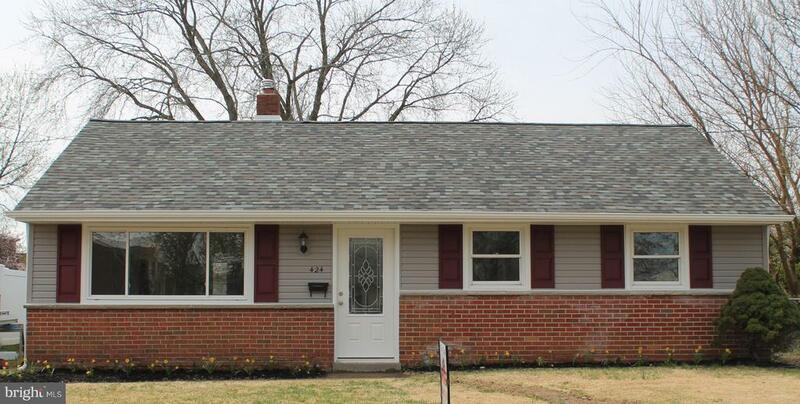 As you drive up to this house, you will notice the beautiful curb appeal and a brand new roof. The minute you open the front door you will be greeted into a living room with vaulted ceilings. The entire first floor features refinished hardwood flooring and the splash of new gray paint on the walls. Next you will indulge in the brand new kitchen build for the chef. Equipped with brand new soft close white shaker style cabinets, contemporary granite countertop, new stainless steel appliances, new sink and faucet. The kitchen opens to a the sidewalk which leads to backyards for all summer BBQ and cook-outs. The upper level has 3 bedrooms and 1 full bath. All The three bedrooms on the upper level have refinished wooden flooring, paint and trim work. The bath include new vanity, new tiles, mosaic strips, and beautiful sparkling hardware. The lower level has finished area which is perfect to be used as family room or entertainment area. The house is equipped with new heater and new air-conditioning unit.There is nothing left to do here but unpack your bags, and start living in this wonderful neighborhood!!!! Place this house on the TOP of your list of homes to view." "If your looking for peace and serenity this is the home for you. Come see this Cape Code with a three tiered deck overlooking your personal oasis. This home features hardwood floors, a gas fireplace, whirlpool tub for relaxing, an office, laundry room and lots of storage, including an awesome shed for your personal toys. New energy efficient (96.1) heater, hot water heater and air conditioner will help keep your energy cost down and the gutter guards will ensure you never need to clean another gutter. The doors and windows are in excellent condition and parking on the expanded driveway is a breeze. The interior of the home is in excellent condition with an updated kitchen and main bathroom, skylights and sliding glass doors to the deck. You have the flexibility with the 3rd bedroom currently being used as a dining room. Check out the low property taxes which were appealed and lowered beginning in 2018. 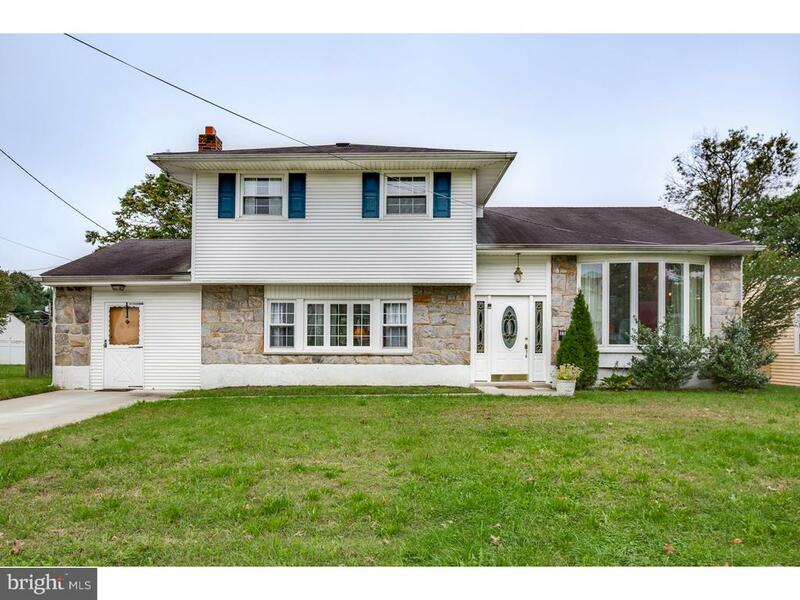 This one of a kind home is minutes from the Turnpike, Rt 295, Rt 42 and Rt 55. Close to the Patco speed line and 15 minutes to center city Philadelphia." 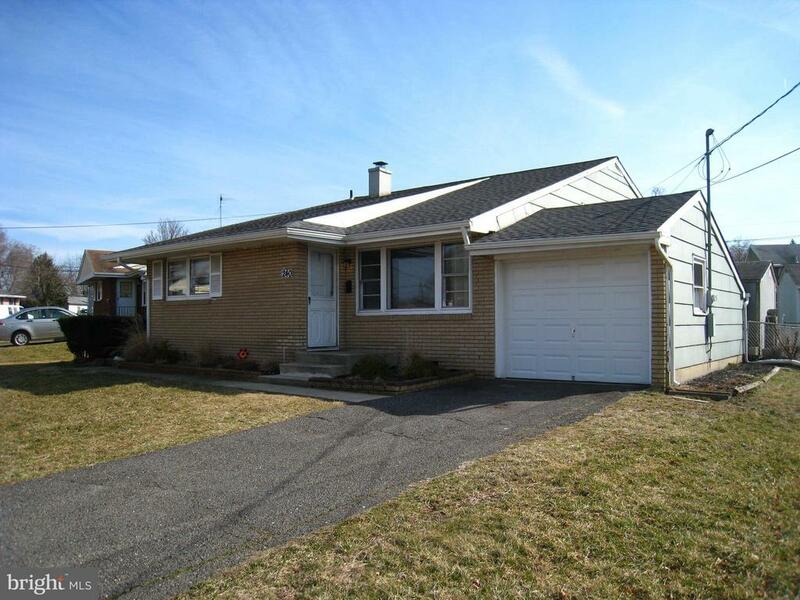 "This newly updated - expanded - 3 bedroom rancher is MOVE IN READY. Beautiful new kitchen with granite countertop, stainless appliance package with microwave and 5 burner gas stove. Kitchen also features 36 inch cabinets, breakfast bar andb large eat in area with new slider to the back fenced yard. Remodeled bath with new vanity - oversized sink, tiled tub area and floor. New carpets in the bedrooms all in neutral designer color palette. Wait there~s more! New lead glass front door, new LED lighting new pull down attic stairs. Outside features new vinyl siding and new roof! Put this home on your tour list to see all it has to offer. NOTHING to do here but unpack and relax!" "Don't let the exterior deceive you, this house is larger than it appears. This home features 3 Beds 1 bath. Step into the living room and soak in all the natural sunlight by the beautiful bay window or cozy up to the wood burning fireplace with brick surround. Walk on through into the formal dining room and enter the eat in kitchen. Bonus, off the back of the home there is a sunroom to relax after a days work and enjoy some quite time. All replacement windows, fully fenced yard, gas fireplace in basement & newer hot water heater are just some additional features to help make your home purchase decision a little easier!" 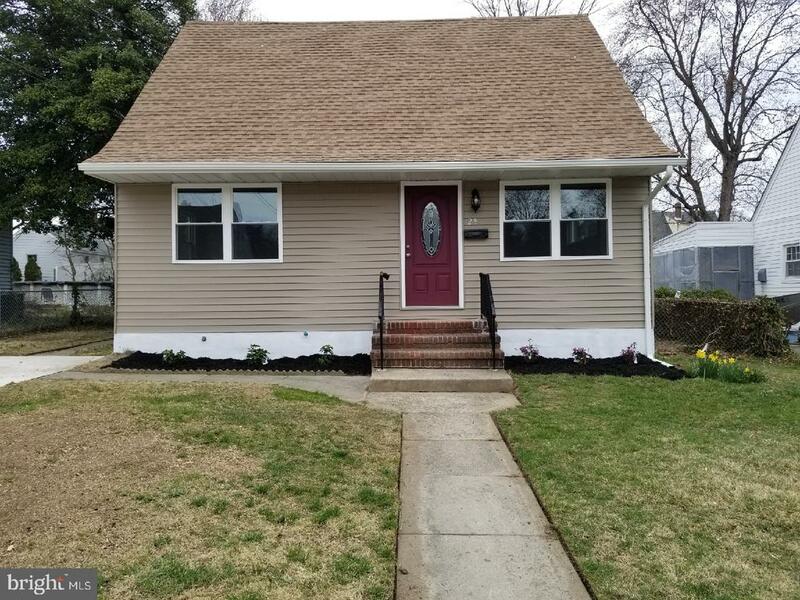 "Welcome to this expanded Cape Cod home located in walking distance to shopping, public transportation, and major highways. The cozy living room with stone fireplace and hardwood floor lead to a huge galley kitchen with dinning area and sliding glass doors to rear deck. The expanded bathroom and master bedroom with two closets all on the first floor. Two large bedrooms on the 2nd floor. The basement is partially finished and leads to a laundry room. Price to sell. All buyers considered." 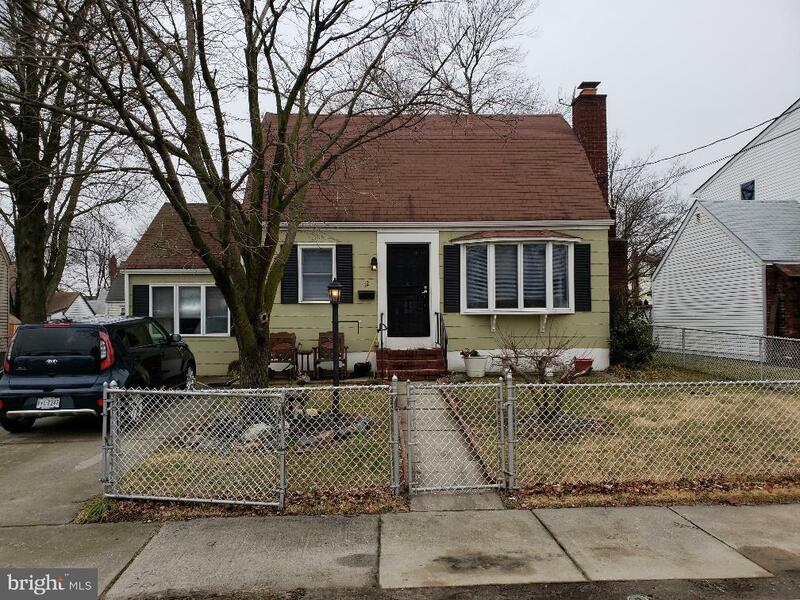 "This beautiful 3 bedroom, 1 1/2 bath split is located in a great neighborhood and features a new dishwasher, a new microwave, an oak kitchen with a 5 burner gas stove and ceramic tile floor. The home has beautiful H/W floors, high ceilings in the living room, a 1 year new roof, and a fenced yard. Call now!" "Great Bi-Level located in the Borough of Bellmawr. Main level features Living room, dining room, kitchen, full bath and 3 bedrooms. Lower level features the 4th bedroom, laundry room, 1/2 bath and a large unfinished area. Home also features a 1-car garage. Schedule your appointment TODAY!!" 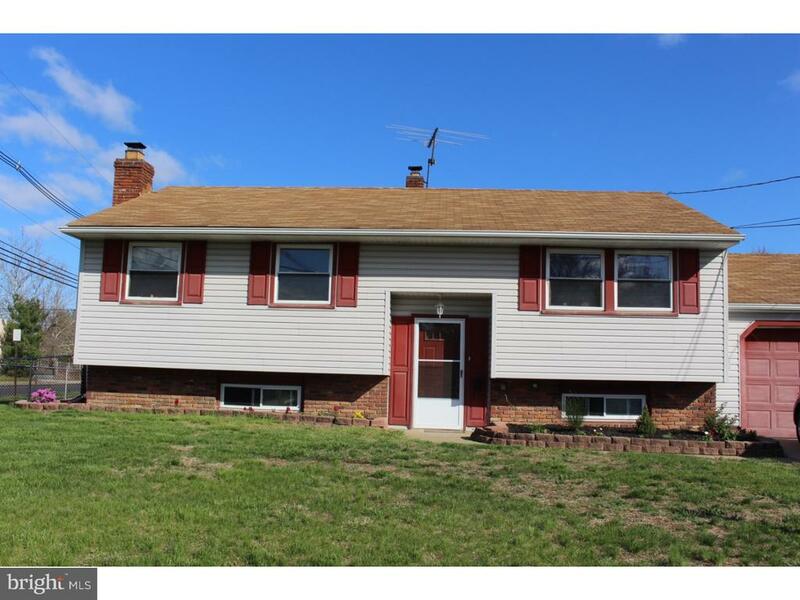 "Great 3 Bed 2 Bath Rancher with Finished Basement & Carport. Kitchen has tiled floor with Sliding Glass doors to Yard. Living room has hard wood floor. All 3 Bedrooms have hard wood floors with Large Closets. Finished basement with Built in Bar & Stools Wood Laminate floor & Full Bath. Back half the Basement is Laundry,Storage, Heater & Hot water heater. Flat screen in living room is staying. Small shed in yard. Roof has a Transferable Warranty. Owner is a License Realtor. 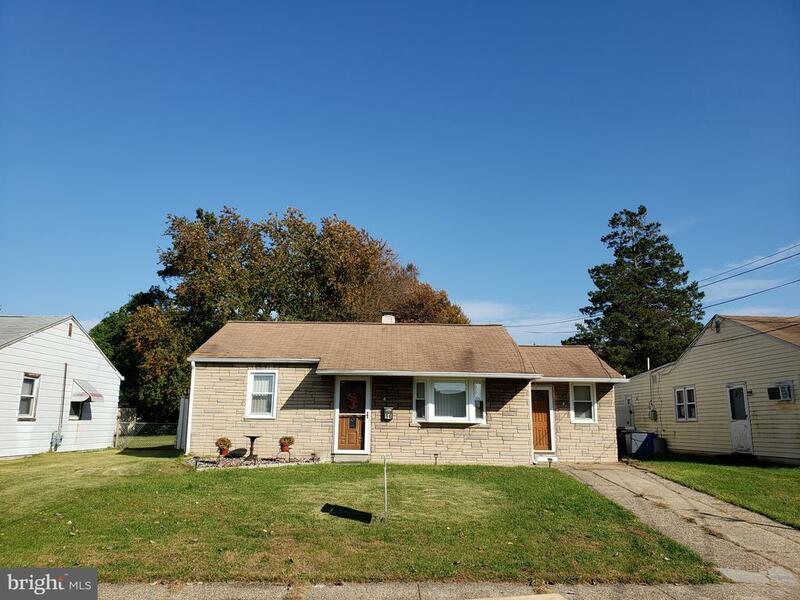 2-10 Home Warranty is included in this sale"
"Great location in central Bellmawr. One story living with two nice size bedrooms. Large eat in kitchen with custom cabinets and counter top. The kitchen leads to a rear yard patio with in ground salt water pool with 6 foot vinyl fence and two storage sheds. Large laundry room with washer and dryer and Family. Closing cost concessions will be considered. Bring all offers motivated seller. Home warranty also offered by the seller. $1000.00 Bonus to the selling agent"